Now until February 28th come in and get your FREE DOT inspection. A $60 value! Just make an appointment. 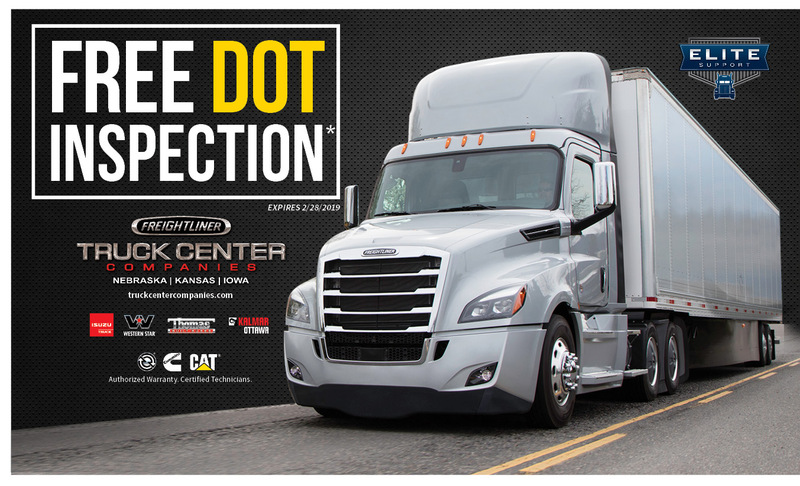 Parts or service work must be completed by Truck Center Companies to receive your DOT sticker.